Blue Bell is once again producing ice cream at its Brenham facility, but the treats aren't yet for sale. The Texas-based creamery made the announcement Wednesday morning, saying operations are running but on a limited basis as new procedures, enhancements and training is completed. Ice cream produced in Brenham will be closely monitored and tested. There is no firm date for when ice cream from the Brenham facility will be available for sale. "We are excited to announce that Blue Bell Ice Cream is once again being made at our main production plant in Brenham," said Greg Bridges, vice president of operations for Blue Bell, in a statement Wednesday. "Over the past several months we have been preparing our facility for this day. We are very thankful for the patience and support our customers have shown Blue Bell." 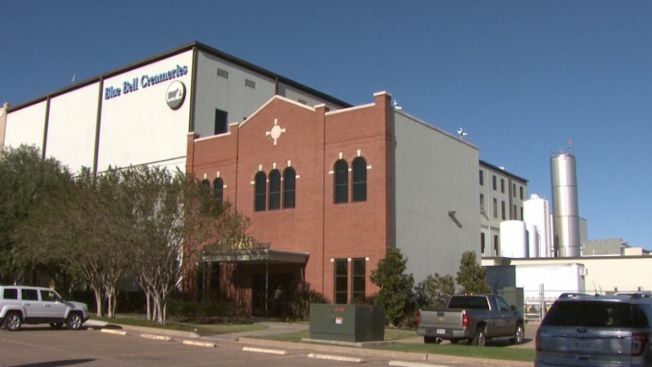 The creamery, along with locations in Alabama and Oklahoma, were shuttered after the company recalled all of its products and halted production early last summer over listeria contamination -- the source of which was never found. Blue Bell began production at its Sylacauga, Alabama and Broken Arrow, Oklahoma facilities in July and September respectively. "We anticipate that our new procedures and enhancements that have already been implemented in Alabama and Oklahoma will also be effective in Texas," Bridges said. "For now we will produce a limited number of products at each facility." Currently Blue Bell is in phase two of its five-phase return plan and will enter phase three on Dec. 14, the company said. Nearly 700 employees put on paid furlough earlier this year have returned to work. Tours will not resume at this time at the Brenham facility, but the Country Store, Visitor Center and ice cream parlor are open to the public.